Fun is blooming in Minutia! And The Best Best Fiends Show is here to keep you up-to-date on all the “hoppenings” in the Best Fiends universe this month. 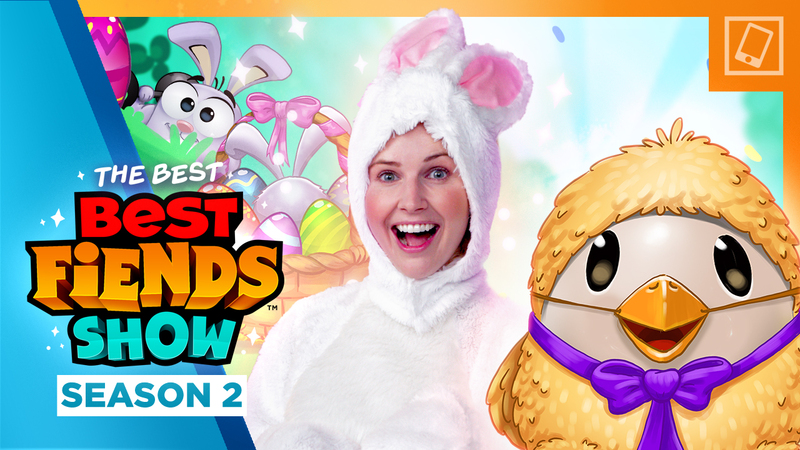 Host and resident Best Fiends bunny Kimberley Crossman is sharing everything you need to know about the latest game update. From solving the mystery of the ages alongside Detective Kwincy to embarking on the super sweet Spring Treat Trail, there’s no shortage of eggcellent adventures. Plus, we’re introducing a brand new in-game Minutian News Center where you can read all about all the noteworthy news going on in the Best Fiends world. You better hop to it! Check out the latest episode of the The Best Best Fiends Show HERE!